It appears that the imprisonment of Abuga Pele, the former National Coordinator of the erstwhile National Youth Employment Programme, and Philip Assibit, the CEO of Goodwill International Group, has had a profound effect on Hon. Mahama Ayariga, the MP for Bawku Central. It has stung him into action - in a determined move to seal the many loopholes in laws passed by Parliament that are ruthlessly exploited by our nation's vampire-elites. Better late than never, ought to be the guiding principle, which should inform participation by civil society organisations dedicated to ensuring good governance in our homeland Ghana, such as OccupyGhana, in this all-important matter. Indeed, it behoves every patriotic Ghanaian citizen to support Hon. Mahama Ayariga's attempt to introduce his private member's bill in Parliament. Doing so would in effect be responding to President Akufo-Addo's call for active and responsible citizenship from all Ghanaians - instead of being apathetic spectators in the nation-building process. For the benefit of those who have not yet heard or read Hon. 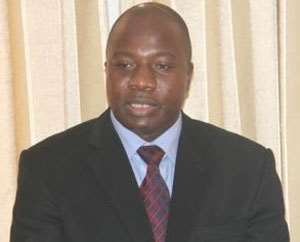 Mahama Ayariga's clarion call, we have culled a Ghanaweb.com general news webpage in which the said statement issued by Hon. Mahama Ayariga is posted. Above all, if the more responsible sections of Ghana's mainstream media in particular rally to Hon. Mahama Ayariga's support, by focusing on his efforts in Parliament, and play an advocacy role to get Parliament to treat it as a matter of some urgency, they will be making a huge contribution to the fight against the high-level corruptuon slowly destroying our country. Let us end impunity in Ghana once and for all. 1. These comrades fell because we operated a legal regime that left cracks that became the holes that devoured them. The cracks include the tolerance of unfettered discretionary power in the management of our public affairs and the permissiveness of sole sourcing and other negative practices of allowing institutions to exist without an appropriate legal framework... I will therefore take the following specific actions: (a) Next week I will present a Private Members Bill to Parliament proposing the amendment of the Procurement Act to prohibit sole sourcing altogether. I will include in the bill a requirement that we recall and examine all sole sourced contracts to ensure that Ghanaians have value for money. (a) I will call for the annulment of all the modules and contracts entered into by the National Youth Employment Authority that are not founded on approved regulations passed by Parliament pursuant to sections 20 and 33 of the Youth Employment Agency Act, 2015 (Act 887). This will include the annulment of all of Zoomlion’s contracts with them and fair impartial procurement of those services. (b) I will move against the GETFund to demand that GETFund should award no student scholarships, unless Regulations have been brought to Parliament to determine the criteria by which students can assess such scholarships. (c) The Microfinance and Small Loans Center (MASLOC) must cease operating and the Minister of Finance should, on behalf of the President should bring a Bill to Parliament for the proper regulation of what they do there. (d) I will move against the Office of the President to ensure that that Office no longer grants international scholarships to any student through the Scholarship Secretariat, unless it is based on fair impartial non-discriminatory and non-arbitrary Regulations approved by the Parliament of Ghana. (e) I will move against the Ghana School Feeding Programme and demand a termination of all the contracts by the end of this term and that the award of new contracts for school feeding should be open, transparent and accessible to all based on clear Regulations enacted by Parliament to guide the operations of the entire National school Feeding Programme. (f) I will move against the Ministry of Education to ensure that the arrangements for implementation of the Free Senior High School Programme is governed by Regulations approved by Parliament so that all those contracts for the supply of food for freely feeding the SHS students in all the public schools are equally accessible to every Ghanaian irrespective of your political affiliation. (h) All public agencies that charge fees must be brought under control. For example the Immigrations Service and others who charged younf people sums of money to process their applications have to should specifically which Legislative Instruments permitted them to collect such monies or they should return the monies the lawful owners. I shall in the coming week write to each and every agency of Government concerned and demand that Regulations be brought to Parliament within 30 dyas otherwise I will proceed to the Supreme Court to seek an injunction against all that they are doing in violations of the law. In the coming days I will review almost all our legislation and bring on board, for similar demands for accountability. Any agency which is vested with any form of discretionary power and demand similar standards from them. Lets pursue arbitrariness and sever its head from our public body. Lastly, I will propose a private members bill that will direct the president to delegate the appointment of chief executives of public agencies to their respective boards and councils. I am constituting a Progressive Platform and I call on all progressive forces, who are minded to join in this struggle, to rally to ensure that the project of building a fair transparent administrative state that holds every public officer accountable and treats every citizen fairly is successfully completed. Saturday 24th February, 2018 Copyright © 1994 - 2018 GhanaWeb. All rights reserved."